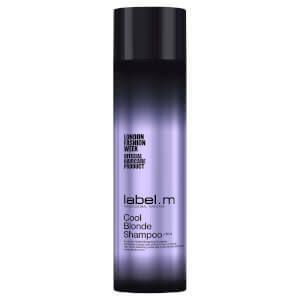 Illuminate your locks with label.m Cool Blonde Conditioner, a colour-corrective formula that makes your blonde the brightest it can be. Infused with purple pigments to awaken highlights and eliminate any yellow or brassy undertones, the conditioner envelops each strand in a deeply nourishing formula of Blueberries, Purple Carrots and Sweet Potatoes. Helping to replenish vital moisture from root to tip, the formula fortifies the hair’s natural fibres in order to prevent breakage and keep locks soft and supple. Expect stregthened, hydrated and radiant results.